The internationally recognised pianist Anna Shelest has been praised for her “fiery sensibility and warm touch” as well as for her excellent sense of partnership with an orchestra (New York Times). Born in Kharkiv, Anna Shelest graduated from the Juilliard School of Music in New York and currently also lives in New York. At the age of only 11, she performed in the UNESCO headquarters in Paris as the youngest prize winner at the Miłosz Magin International Piano Competition. She has given concerts in New York’s Alice Tully Hall, the Stern Auditorium in Carnegie Hall, the Kennedy Center in Washington and the Vienna Konzerthaus among others, and performed as a soloist with several famous orchestras. In 2011, she was the first to have a chance to perform in the freshly finished 7 World Trade Center in New York. Anna Shelest will perform Rubinstein’s Piano Concerto No. 5. Rubinstein was one of the most famous pianists of the 19th century whose playing style has been compared to that of Ferenc Liszt. He was also a musical activist (with the establishment of the St. Petersburg Conservatory in 1862 as his most important achievement) as well as a prolific composer. His piano concertos are thought to have inspired compositions by Tchaikovsky and Rachmaninov in the same genre. Conducted by Neeme Järvi, the principal conductor and artistic director of ENSO. For the first time, the ENSO concert series also include a special treat for all piano music lovers. Denis Kozuhkhin, a pianist from Nizhny Novgorod, who has made his way up to the world’s most reputed concert halls, has won first prize at the Queen Elisabeth Competition among many other awards. He now works with the world’s top orchestras and conductors. In Tallinn he will perform Prokofiev’s Piano Concerto No. 3. The young Estonian pianist, Auli Lonks, became known to Estonian audiences when participating in the first season of the TV show “Klassikatähed” (Classical Stars). 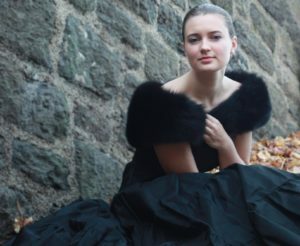 She recently won first prize at a competition of instrumental soloists at the Estonian Academy of Music and Theatre Symphony Orchestra. With ENSO and the EAMT Symphony Orchestra she will perform Ravel’s Piano Concerto in G major. Born in Kharkiv and currently living in New York, Anna Shelest has been praised by the New York Times for her “fiery sensibility and warm touch” in piano playing, as well as for her excellent sense of partnership with an orchestra. In Tallinn she will perform Rubinstein’s Piano Concerto No. 3 with ENSO, conducted by Neeme Järvi. The piano concerto with an intriguing title “Century Rolls” by the American composer John Adams embraces, according to the composer himself, the piano music of the entire previous century, while being mainly inspired by the sounds of the pianola, the self-playing piano that became popular at the beginning of the 20th century. The soloist, the Icelandic Víkingur Ólafsson is one of the most original younger generation pianists who represents a rare combination of passionate musicality, explosive virtuosity and intellectual curiosity.